Read the full Request for Proposals. The deadline to apply is 5:00 pm MDT on Monday, April 17, 2017. The Healthy People 2020 Social Determinants of Health website includes definitions, data search tools, interventions, related webinars and events and much more. The role of mind, body, and emotions in developing messages. Spring is an exciting time for students, with events like prom and graduation quickly approaching. It is also the perfect opportunity for caregivers to start a conversation with their youth about the use of alcohol and marijuana and the misuse of prescription drugs and other drugs. 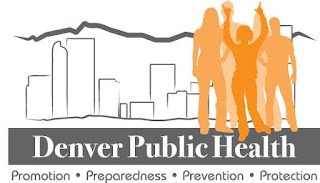 The Speak Now Colorado campaign, developed by the Colorado Department of Human Services Office of Behavioral Health, provides parents and caregivers evidence-based information and resources regarding youth substance abuse prevention. "Supporting Grieving Students: Free Resources for School Professionals from the Coalition to Support Grieving Students"
Virtually all children experience the death of a friend or family member at some point in their childhood. Even though bereavement is a normative experience, a significant loss can have a significant impact on children’s psychological adjustment, academic achievement, and personal development. This presentation will provide insight into how children come to understand and adjust to a loss and practical suggestions on how adults can talk with children and provide needed support. The free resources developed by the Coalition to Support Grieving Students (of which ASHA is a Supporting Organizational Member) will be highlighted. Staying informed of all the latest developments in the world of safe infant sleep can be a lot of work, and we strive to show you our appreciation by making medically accurate information easily accessible. Share Safe Sleep Messages on Social Media. Download these informational cards promoting safe sleep messages and add them to posts from your own Facebook, Twitter, and other accounts. We also offer infographics and other downloadable materials in English and Spanish and a promotional e-toolkit with sample social media posts. Use Safe Infant Sleep Images. It’s important for every image to show a safe sleep environment. We invite you to use these photos freely in your outreach. Like Us on Facebook. Every month, NICHD shares safe sleep messages on Facebook. Like our page and share safe sleep posts with your audiences. Follow Us on Twitter. Follow @NICHD_NIH to find important messages you can retweet, learn about Twitter chats and other events, and connect with others who are active on the topic of safe infant sleep. Pin Safe to Sleep® Images. Infographics, articles, images, and more are ready to pin from the Safe Sleep for Your Baby Pinterest board. Share Safe to Sleep® Videos. Available in English and Spanish, these videos are easy to share and full of useful information about safe infant sleep. Learn more about using Safe to Sleep® campaign high-resolution images. Our campaign partner National Action Partnership to Promote Safe Sleep (NAPPSS) also has free safe infant sleep and breastfeeding images available for use. We appreciate all that you do to keep families and babies safe and healthy. Youth suicide is the second leading causes of death among children and young adults between the ages of 10-24. Numerous states have enacted legislation to address the role of schools in suicide prevention, often as the result of efforts initiated by survivors. Examples include the Jason Flatt Act, Pennsylvania’s Act 71 and Jamie’s Law in West Virginia. Provided a brief review of the lawsuits against schools after student suicides with a lessons learned summary. The Colorado Office of Behavioral Health has announced a Request for Proposals for Persistent Drunk Driving and Law Enforcement Fund Grants. Funds will be used to support primary prevention efforts to impaired driving and/or the local conditions that facilitate this behavior at all levels of the community, especially among young drivers. Proposals should focus on comprehensive primary prevention programs and practices that target both general population and subgroups that are at high risk for substance misuse and abuse for those ages 15-34. ● Mitigate the effects of local conditions related to identified risk factors within target population. Of critical importance to this project is the ability to implement an environmental strategy. A primary goal of this effort is to create policy change. Who may apply: Organizations eligible to submit a proposal include governmental entities, such as county, city, schools and school districts, universities, local health or human services departments; other public entities; tribal entities; private non-profit entities; community based organizations; and faith based organizations. Proposals are due by March 31, 2017 by 2pm. Application documents can be found at www.colorado.gov/vss. Click on the public access tab. Type 2017000217 in the search field. Click on the details tab, then click on the attachments tabs for all documentation relative to this RFP.